In today’s episode we talk about a REAL situation from a REAL student. I did not know your page beforehand, and I could only check the information the week of the test. I just got back my IELTS test scores: Listening 7.5, Reading 7, Writing 5.5, Speaking 6.5. My whole problem was the writing. I guess I made many grammar errors without noticing. I need at least a 6 in each category to apply for visa immigration to Canada. So, I will have to take the test again. I’m going to take the test again at the end of the year. I’m now looking for advice on how I should proceed to meet my goal. This student is obviously a high-level student. So, what’s the problem with his writing? First, take a break. Let your mind relax, and get some confidence back from not getting the results you needed. Then, take one month just to consume. Absorb English. Explore different reading resources and take in ideas from various media. This will help cement correct grammar structures. It will also improve your vocabulary, and develop positive reading habits. Then, just focus on the General Training Task 1 letter. Learn what the examiner wants, like covering each bullet point equally. Learn the difference between formal and informal tones. Study well-organized Task 1 models to learn how to organize your ideas, with solid linking words. Focus on Task 2 next. Learn what the examiner wants for each category. Review and practice the other 3 parts of the test. Get feedback from an IELTS professional. Remember that IELTS is a unique test! You must know what the examiner is looking for in order to satisfy those requirements. 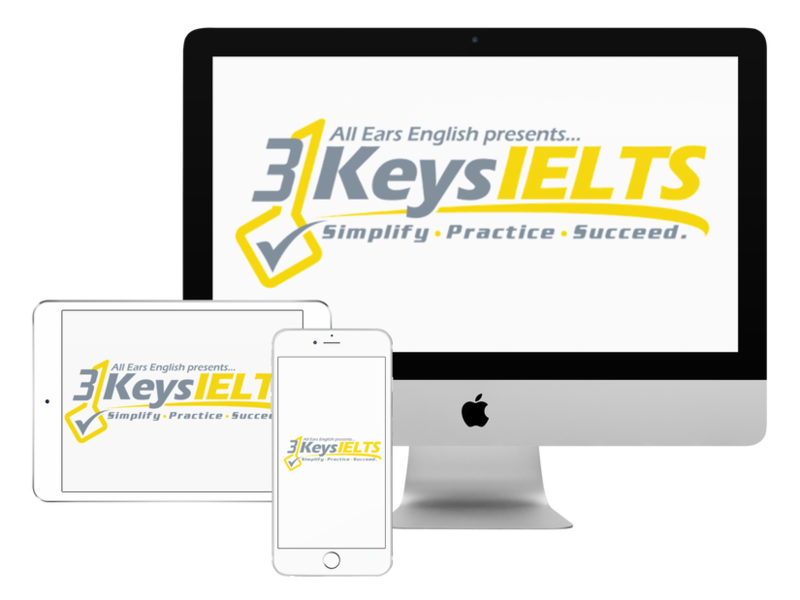 You can get all the strategies you need for every part of the IELTS exam in our online IELTS course, 3 Keys IELTS.